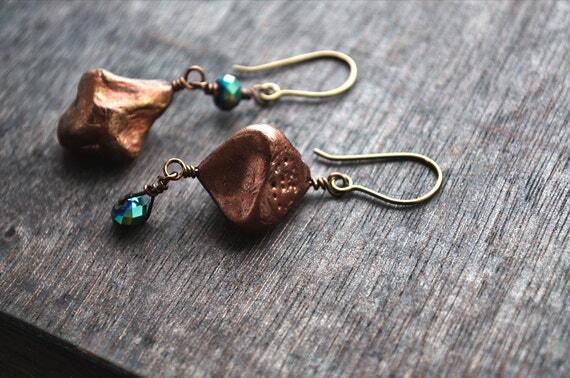 Resin clay and glass artwear for your ears. Apoxie Sculpt, the brand I use, is a two-part air-dry resin clay. It is super hard when cured. Before its adoption into the jewelry-making world epoxy clay was created for automotive and plumbing repairs. It is, for all practical purposes, unbreakable! Apoxie Sculpt is formulated for sculpting and jewelry; I use black. 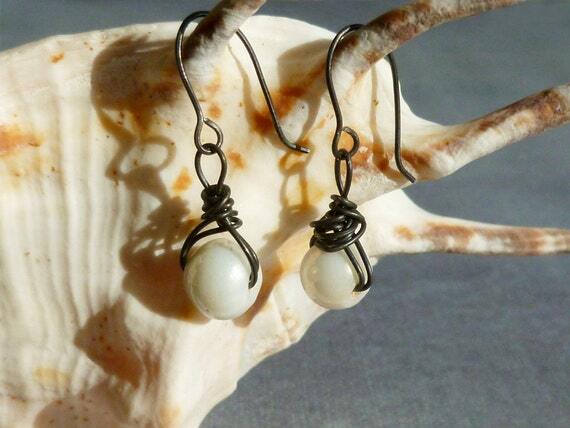 Black & White: Urban chic wire-wrapped earrings. Dark annealed steel wire has a natural black carbon coating that comes to the surface during the annealing process. I have cleaned off loose carbon and sealed the wire with a coat of microcrystalline wax to give it a lovely sheen and help prevent rust. Keep away from moisture and apply an occasional light coat of car wax, such as Turtle Wax, if needed. Click the image above to see if this item is still available for purchase or to place a custom request. 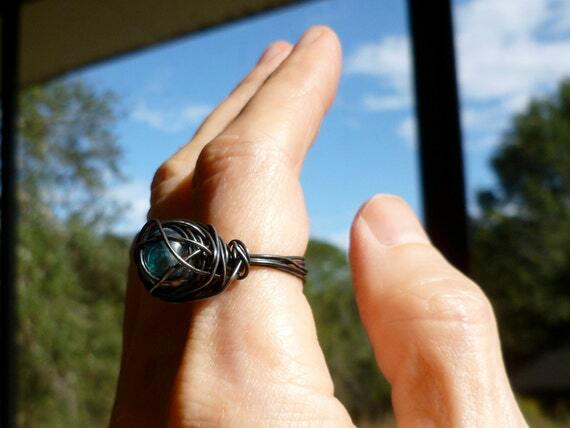 Urban rustic edgy wire wrapped ring. This ring is size 6.5, and I can make a similar ring in your size. Other bead colors are also available. Just click the image above and request a custom order. 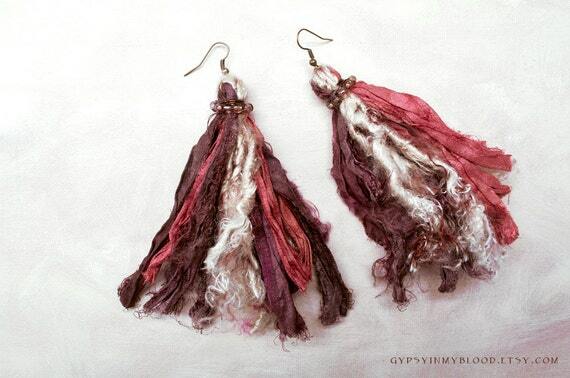 Boho chic large hoop earrings for gypsies and bohemian lovers. 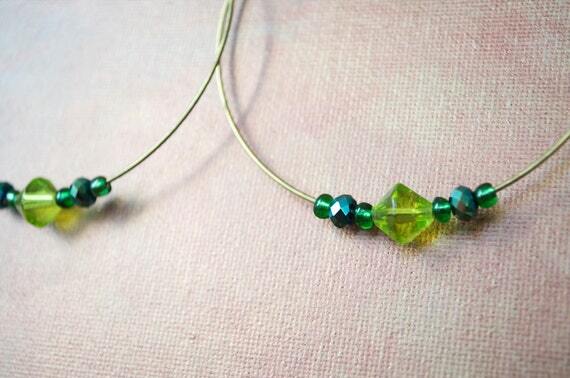 I can make these with different colors of beads, if you prefer. Just let me know what you'd like and I'll do my best to make you over-the-moon happy!